Bisulfite conversion Chemical conversion of unmethylated cytosine to uracil. 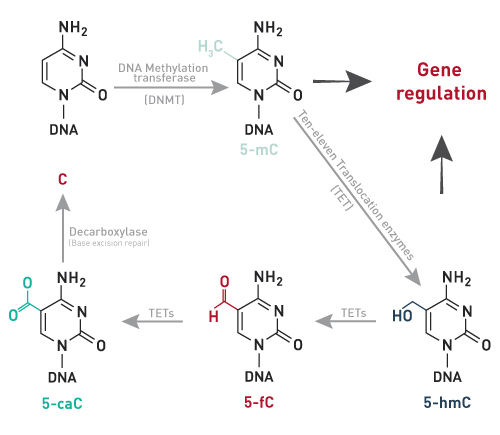 Methylated cytosines are protected from this conversion allowing to determine DNA methylation at single nucleotide resolution. 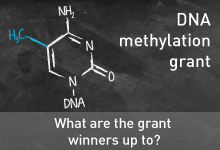 Methylated DNA enrichment (Hydroxy-)Methylated DNA is enriched by using specific antibodies (hMeDIP or MeDIP) or proteins (MBD) that specifically bind methylated CpG sites in fragmented genomic DNA. Restriction enzyme-based digestion Use of (hydroxy)methylation-sensitive or (hydroxy)methylation-dependent restriction enzymes for DNA methylation analysis at specific sites.